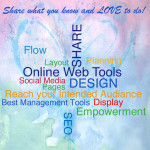 Co-Creating with YOU through the Art of Energy Healing and Website Design. It is my passion to help in the uniting of our gifts and talents for the betterment of humanity and the world we share. I am a certified Quantum Bio-Energy Practitioner and I also love to assist others in Co-Creating their personal websites. Energy work allows for the clearing of blocks and a smooth flow of Life Force through the meridians of the Physical/Etheric, Mental, Emotional and Spiritual bodies. I offer healing and a greater unfolding so that you are free to BE you in this ever changing world. 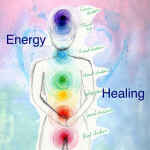 Read about the benefits of energy healing. Clear connections made with the technologies of today allow you to reach those who will benefit from your unique expression and the gifts and talents you have to offer. Your personal website pages offer you a space to introduce yourself and provide the information your clients are looking for.